It was back in August that The Lending Cupboard first found out that it was a nominee for the 2018 Minister’s Senior Service Award. 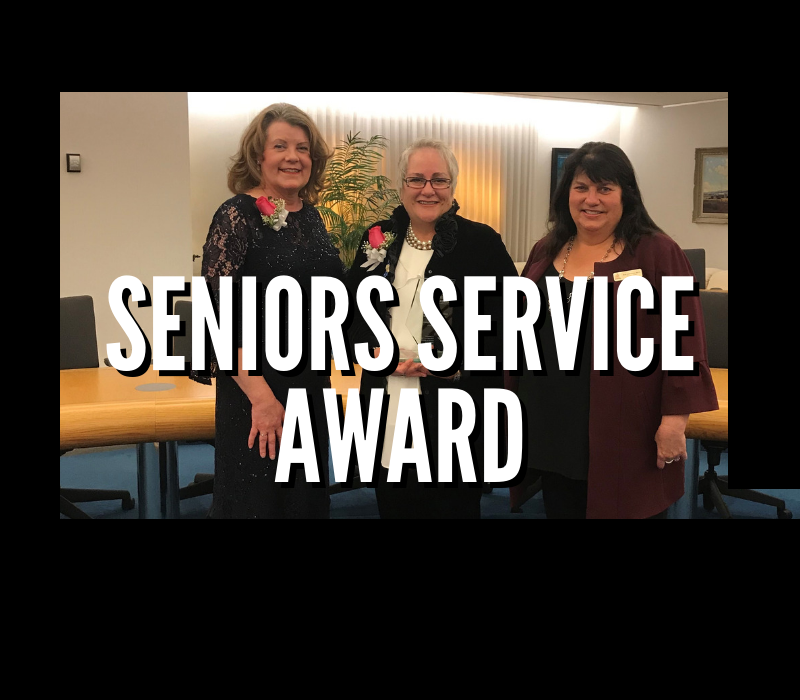 On October 1st at Government House in Edmonton The Lending Cupboard was presented with that award by the Honourable Minister of Seniors and Housing Lori Sigurdson and Her Honour Lieutenant Governor Lois Mitchell. I was honoured and humbled to be amongst such wonderful citizens from across the province that give to their seniors in our communities. Joined by members of our Board of Directors, I was honoured to accept this award on behalf of our incredible team. Our dedicated Board of Directors, 5 part time staff and over 70 volunteers who last year gave over 11,000 hrs. They are the true heroes of our organization. This award recognized and validated the incredible contribution we are making to so many clients and their families. Jacqui Joys founded the Lending Cupboard in 2006 after having difficulty finding medical equipment for an ailing relative. Since then, the Lending Cupboard has helped many others in Central Alberta. The Lending Cupboard continues to provide medical equipment to those who need it. Whether your needs are short term or long term, minor or more serious, we are here to help. A hot chocolate that will warm your heart!! Trevor Sopracolle went from watching the Celebrity Dance Off last year, to being front and centre this year! Trevor was the first “Oil Man” in the Celebrity Dance Off. Hopefully the first of many. He’s also one of the toughest looking Travolta’s you’ll ever see. Trevor and his pro partner Alex McPherson wrapped up the show with a brilliant choice of music from Grease. “Olivia” was amazing.. and “John” turned the world upside down. See for yourself. .. I was born in Goodsoil, Saskatchewan and moved to Alberta when I was in grade 3 and spent most of my youth in Consort. I lost my Dad to cancer when I was in high school and so I grew up fast. At 17 I secured a loan for a 2-bedroom house with a dirt floor basement. To make ends meet, I worked as a tire technician at the local tire shop while attending high school. One of the only benefits of owning your own place in high school is having the coolest parties after the high school dances! I moved to Red Deer in 1999 at the age of 19 and began working at Fountain Tire. Not long later a local snubbing company hired me. Over a 10-year period I worked my way up becoming a senior supervisor overseeing most of the higher-class pressure jobs and many overseas projects. In 2008, Garrett Radchenko and I started Goliath Snubbing Ltd., and we haven’t looked back. I have also been blessed with the best kids a Dad could ask for. Being a single Dad with three kids under 8 definitely keeps me busy. Good chance most people don’t think of dentists and fun at the same time. Well then most people haven’t met Dr Isaac Day yet. The Innisfail dentist and father of 6 certainly knows how to have a good time. Day and pro dancer Jinelle Themig nearly brought the roof down at the Cambridge Conference Centre.. especially when they shocked the crowd with one of the riskiest tricks we’ve ever seen at this competition. Bet you can’t watch this just once. It’s too much fun! A competitive fundraiser for a great cause? I’m all in! I am the founder of Day Dental and we have the best dental team and patients ever. With their support, we will keep the Mirror Ball trophy where it belongs…in Innisfail! While Innisfail has been home for my family and me for the last 7 years, I was born and raised in Edmonton where I completed my Bachelor of Medical Science and my Doctor of Dental Surgery. After working in Edmonton, my wife and I packed up our kids and moved to Central Alberta. I enjoy different experiences, personally and professionally, from working in a cosmetically driven dental practice in Edmonton to being the dentist at the Bowden Prison. When a new experience presents itself, the answer is YES. So when the opportunity to participate in the Sheraton Celebrity Dance Off presented itself, I knew I couldn’t turn it down. I am looking forward to helping this great cause, and to trying something new and exciting, and most definitely out of my comfort zone!